For decades, there has been a lot of money in the oil business. In 2017, global dealmaking in the gas and oil production and exploration segment topped at $143 billion, which is the highest level since 2014. 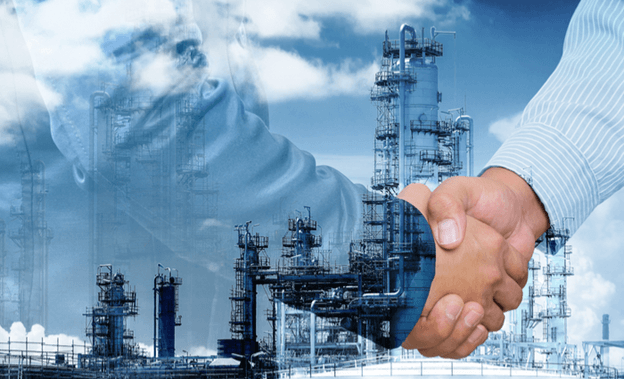 Big energy companies are expected to play a critical role in dealmaking for another year for gas and oil mergers and acquisitions. Making it big in the oil business is not straightforward. And it may not be the first thing on your list to start a multi-million or a billion-dollar empire. However, in oil, things happen in millions and billions. For example, Sam Malin took only five years to grow his company from scratch into a $1.25bn empire. The exploration phase took about seven years (with 3-4 years needed for finding a well and drilling oil). Before he even begun with his project, he managed to raise $250 million in funding. What is the Total Industry Worth? Nobody can tell you exactly how much the oil industry is worth because nobody knows how much oil there is. We may be talking trillions of dollars, and it’s so powerful that it can give the power to transform entire national economies and shape the future, not just bring beautiful, houses, yachts, and cars. After a few years into his exploration phase, Malin hit oil in Madagascar in 1994 and found Madagascar Oil in 2003. He started out as a geophysicist and was on Madagascar researching on historical gas discoveries. His technical grounding helped, but people can come into the business from different areas. It takes the cooperation of governments to find oil and the collaboration of stock markets to sell it at the right price. Malin was given documentation revealing the presence of oil fields by the Madagascar government. The government didn’t have the resources to extract and produce oil, and Malin raised funds from investors, hedge funds, and venture capitalists. During that time, the price of increased and heavy oil techniques advanced. It took Malin about nine years to begin the work, and that time frame is not unusual. It takes time to strike oil, and even if you do, you have to drill more to find out whether the oil is economically valuable and how to get it out. Malin persevered thanks to his gut feeling and be ready to take the risk. Also, when it comes to supporting on drilling, the right to export the oil, the environmental impact, he had the support of the Madagascar government. In almost every jurisdiction, the oil belongs to the government and not to the company. The government gives the company percentage of the oil or allows it to keep it and charge taxes. It’s all the matter of negotiation. The price of oil reflects supply and demand, but the speculative positions in modern markets can swamp the fundamentals. Last year, the cost of oil per barrel was $140, which didn’t reflect oil demand. It is tough to plan for when the price spike happens because of speculative positions. How to prepare for it and how much profit can you make per barrel? First, you must view prices from an oil producer and explorer view, but projecting an estimated earn is quite complicated as it depends on the engineering solutions for oil extraction. Those who want a higher ROI (10-30%) should look for it in high-risk places, such as Iraq, Venezuela, Somalia, or Ethiopia. One of the partners on one of Malin’s funds for Madagascar is the WWF (Worldwide Fund for Nature), and other environmental pressure groups. People on Madagascar mostly use energy from burning wood. If they become wealthier, they can turn to use other energy sources that have less impact on the forests. As for socioeconomic problems, Madagascar works with the International Finance Corporation to help the (less developed) country with the sudden influx of massive amounts of money. The rewards of extracting, producing, and selling oil are huge. From a financial standpoint, what you need to make it in the oil business is getting funds to find an oil well, inspect it, and produce it. You need to grab the best possible investment and trading opportunities out there, and the experts from Blackhawk Partners can help you devise your strategies, raise capital, and sell the oil at the right price.